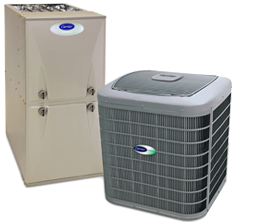 Purchasing a new heating or cooling system is a big investment. At Provincial Heating & Cooling, we understand that big purchases come at the least convenient times. We are here to help. We want to make sure your family has a functioning home comfort system to keep you warm in the winter and cool in the summer, which is why we offer air conditioning and furnace financing in Winnipeg. Continue reading to learn more about the financing options available. For furnace financing in Winnipeg, the Manitoba Hydro Power Smart Residential Loan Program allows you to purchase a new, high efficiency furnace for your choice of either a 5, 10 or 15 year term. Interest on this option is 4.8%. If you are looking for air conditioning financing in Winnipeg, the Manitoba Hydro Energy Finance Loan is a great option. This loan is available for a 5 year term with an interest rate of 6.75%. We also offer easy, fast, and low interest options for AC and furnace financing in Winnipeg through our in-house financing program, Snap Financial. Our financing plans will give you access to the funds required for today’s energy efficient, high-end systems that Provincial Heating & Cooling Inc specializes in. With the Snap Financial financing option, you will receive exceptional support through the customer care centre, where you can access your loan details, review pending payments or process your loan payout. Are you worried about all the paperwork you will need to fill out to apply for one of these financing options? We’ll take care of it for you! At Provincial Heating & Cooling, we understand that these types of documents can be frustrating and complicated to complete, which is why our experienced team will do it for you and send it to the proper location to get your application started. To find out which financing options are available to you, or to learn about special promotions, contact us today. Ph: (204) 339-4328 24 Hours a day / 7 days a week.